Outdoor shower, baby bed on request with surcharge, free use of barbecue, free berth for boat (only with obligatory previous notice). The closest beach is 100 m away. The property is 100 m away from the coast. The town center is 1500 m away. Grocery store - 270 m. Closest restaurant - 150 m. Closest infirmary/hospital - 800 m. Closest public transport (bus etc) - 1800 m. Airport - 60 km. Train station - 50 km. Ship / ferry port - 22 km. Nature park - 60 km. National park - 48 km. Instant booking unit Apartment type: A1. The apartment has 4 bed/s for adults. There is/are 1 extra bed/s. Capacity (adults) is (4+1). It has 3 stars. Apartment has 54 m2. It is on high groundfloor. Number of bedrooms: 2. Number of bathrooms: 1. Number of balconies: 2. Kitchen, dining room and living room in the same room, the living room has an exit to the balcony/teracce. Flooring: carpet, parquetry, tiles. In the room is one couch/sofabed for one adult. Air conditioning in the living rooms with surcharge, TV set, cable TV, SAT-TV, work table, sitting area, couch/sofa, smoking allowed inside the apartment . Balcony/teracce of the apartment has 11 m2. Features and equipment: covered, orientation sea side, partly sea view, garden view. Balcony/teracce of the apartment has 15 m2. 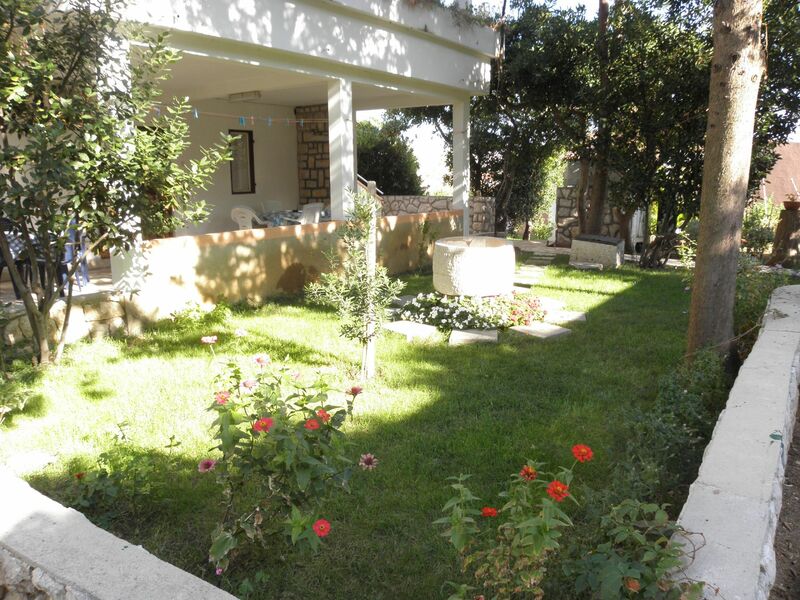 Features and equipment: seating set, covered, ground floor (garden terrace), garden view. Instant booking unit Apartment type: A2. The apartment has 4 bed/s for adults. There is/are 1 extra bed/s. Capacity (adults) is (4+1). It has 3 stars. Apartment has 55 m2. It is on the first floor. Access for the disabled is not enabled. Number of bedrooms: 2. Number of bathrooms: 2. Number of balconies: 1. Kitchen, dining room and living room in the same room, the living room has an exit to the balcony/teracce. In the room is one couch/sofabed for one adult. Air conditioning in the living rooms with surcharge, TV set, SAT-TV, work table, sitting area, couch/sofa, smoking allowed inside the apartment , heating (air conditioning) with surcharge. Balcony/teracce of the apartment has 3 m2. Features and equipment: covered, orientation park side, garden view. Balcony/teracce of the apartment has 12 m2. Features and equipment: seating set, partly covered, orientation park side, garden view.